This was a wonderful kick off event. The museum was packed. 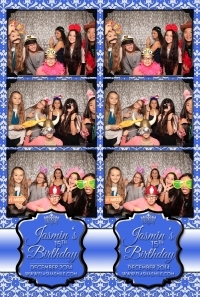 We had so much fun taking pictures with everyone in our Photo Booth. Check out all the pictures in our gallery by clicking here. We will be back this Friday and Saturday. Get your tickets now because they are selling out fast. We had a great time with Cinecrown at the Perfect Wedding Guide Bridal Show. Thank you to all the brides that came out despite the weather. It was great meeting and learning about your special day. If you are looking for a great photographer or cinematographer then give Cincecrown a call today. Check out all the pictures we took at the bridal show by clicking here. We met a bunch of brides and grooms at the Cal Expo Bridal Show. Passed out a ton of flyers. I hope you still have your flyer. There are bridal show discounts only available with that flyer. We had a great time taking pictures and getting to know the brides and grooms. We really appreciate you taking the time to take a picture and speak to us about your special day. All of the wonderful pictures have been uploaded. You can view, share, and download them for free. 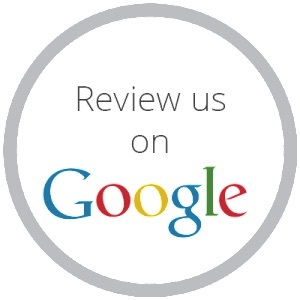 We hope to hear from you soon and look forward to capturing all the fun memories. Click here to view all the pictures. 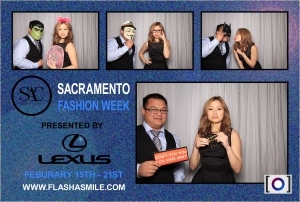 The Masquerade Themed Party put on by Sacramento Fashion Week was a success. Thank you, Duane for inviting us to take pictures at the event. It was wonderful seeing all the elaborate masquerade masks. It was a fun party with great people as usual. Thank you to everyone who came out to support SACFW. Please check out all of the pictures we took last night by clicking here. 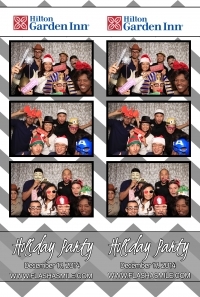 The Hilton Garden Inn had a great holiday party for their employees. 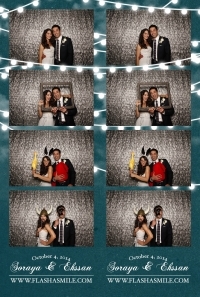 Thanks Jeric and Joy for inviting us to take your photo booth pictures. 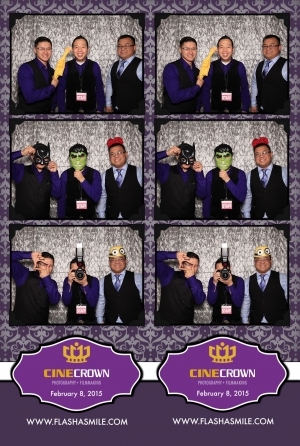 I hope everyone had a great time with the photo booth. I know we really enjoyed all the funny pictures. Please tell the chef the food was outstanding. You can view all the pictures we took by clicking here. If you are looking for a great venue for a reception, party, or anything give the Hilton Garden Inn a call. 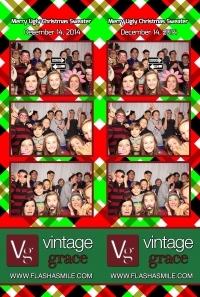 We really enjoyed seeing all of the ugly sweater's that visited our photo booth. We were happy to fill in at the last mine for Drew at Vintage Grace. Thanks for inviting us to the service as well as the after party. Everyone was having a great time in the photo booth. I hope everyone that wanted to take a picture got the opportunity to do so. The line never seemed to end haha. Please remember that you can view, download, and share the pictures by clicking here. We hope you had a great birthday. We really enjoyed taking all of the pictures of you, family, and friends. I know your friends especially liked taking the pictures, some had a hard time leaving the photo booth. We especially like the Dj, he was a hit. 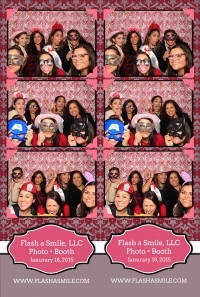 Thank you, Maritza for inviting us to take your photo booth pictures. I hope everyone had fun, I know we sure did. Please take a look at all of the pictures by clicking here. Remember you can download them. 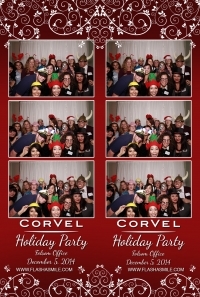 This was a great Holiday Party for the CorVel team Folsom Office. We had a fun time watching everyone trying to get framed in the shot. I think we managed to get a total of 15 people in the shot. If you are wondering it's the one on this post. 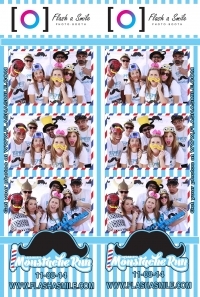 It was an awesome watching everyone making the funny faces and acting goofy in our photo booth. We really apprecaite you inviting us to take your pictures. We posted up all the pictures, click here to see them all. 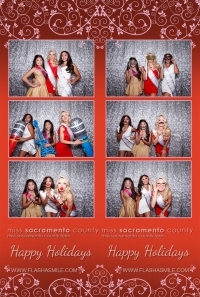 This was a wonderful festival supporting the Sacramento Chinese Culture Foundation. 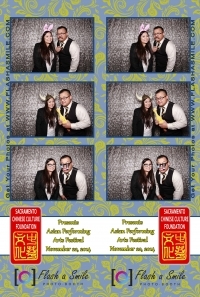 Being of Chinese descent, I was happy to support the SCCF. All of the performances were beautiful, from the singing to dancing, and especially the Kung Fu. We were able to get a few pictures from the guests during intermission as time allotted. I know everyone was eager to get back and watch the rest of the show. We had a great time, we hope you did as well. Please enjoy all the pictures. What do you get when a wedding coordinator plans her own wedding? You get the most awesomenessauce wedding of the year! 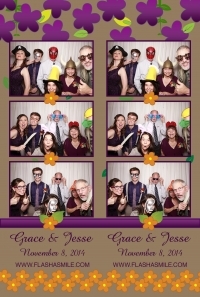 We had the pleasure, no the honor of attending Grace and Jesse's Wedding this weekend. It was a picture perfect wedding, if I may say so myself. 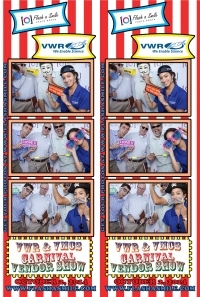 Hey, this is a photo booth blog what'd you expect. The night was filled will laughter, tears, food, and did I forget to mention dancing? I've been to my share of weddings over the years. I have not seen so many guests, including the bride and groom dancing in sync. It was a lovely sight to see the beautiful couple and their little one dancing together. I know my eyes were watery throughout the night, I'm sure everyone else's was too. Oh yeah, I almost forgot if you would like to see all of the pictures we took in our photo booth click here.